630 meter class D Power Amp designed to produce 100 watts output into a 50 ohm load with only 0 dbm (400 to 600 mv ) input at 472 to 479 khz .The output stage is a push-pull design using a pair of 34N20’s , each of these fet transistor will handle 150 watts, this is a very rugged output stage. The driver circuit for the output stage uses a fet driver chip with associated parts to control the drive and the bias of the output power transistors. 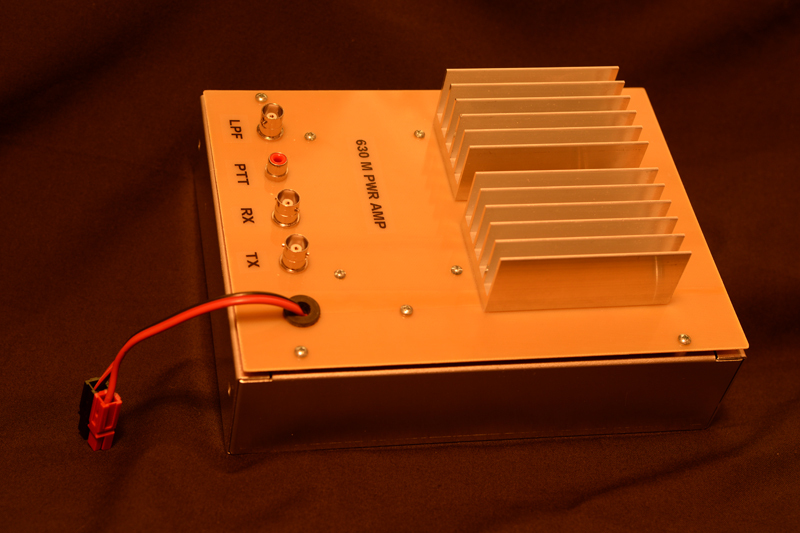 The Amp will produce 30 to 100 watts into a resonant antenna with a 14 to 24 volts power supply. I use this Amp with an Elecraft K3 but also works with Flex, Kenwood and other transceivers.